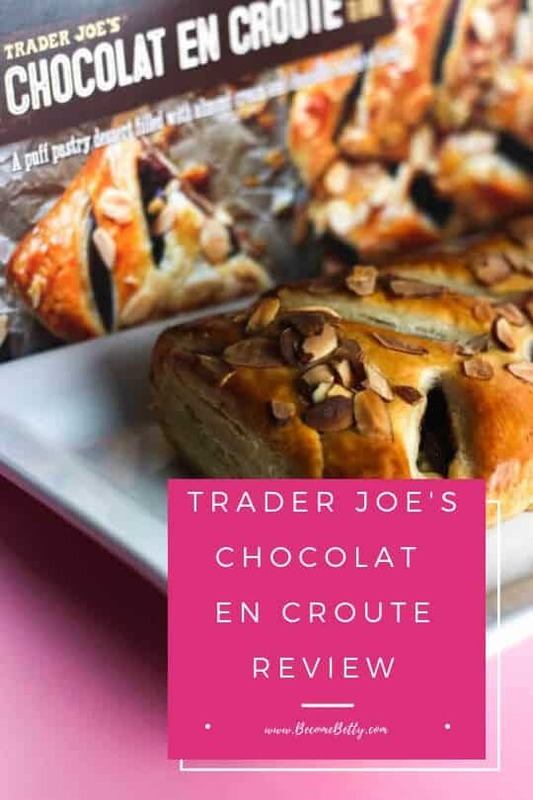 I’m not sure if it is palate fatigue, so because I’ve done so many chocolate reviews, over 100 in fact just of Trader Joe’s chocolate products since 2016. 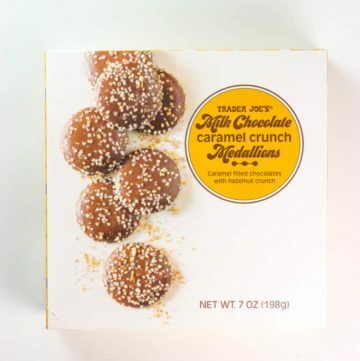 That’s a lot of snacks, drinks, and desserts, so here is one more: Trader Joe’s Milk Chocolate Caramel Crunch Medallions. 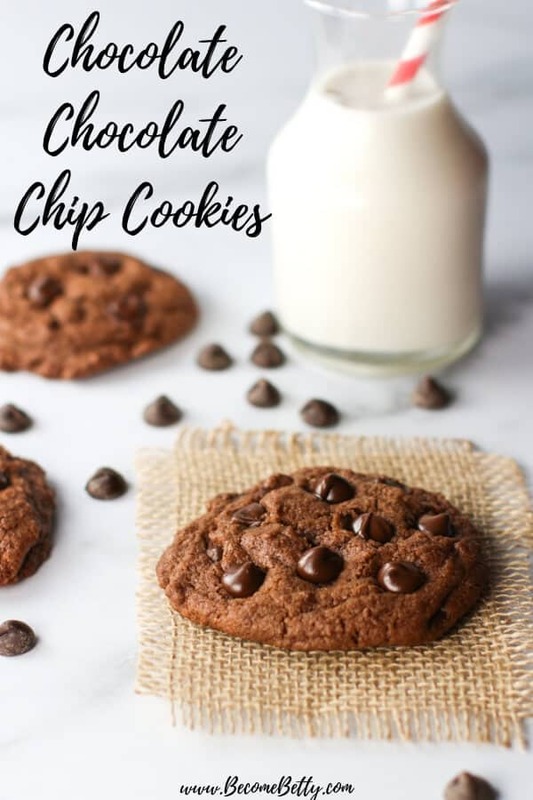 If you like the taste of chocolate chip cookies, but wish for a more chocolate taste, then look no further than these rich, deeply chocolatey cookies that are the devils food of the cookie world. These cookies are easy, soft, and delicious. 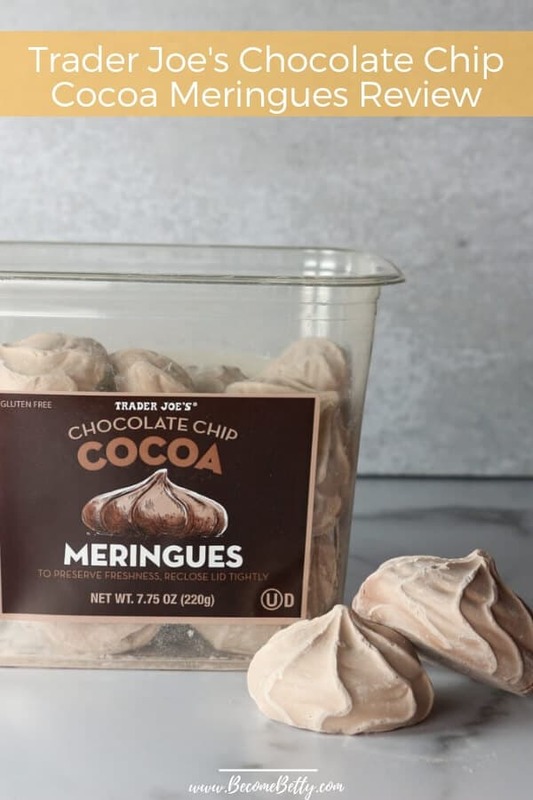 If there was one holiday product, that I wish I could go back are review because it would have been helpful, were the Mini Peppermint Meringues. I loved and adored them. 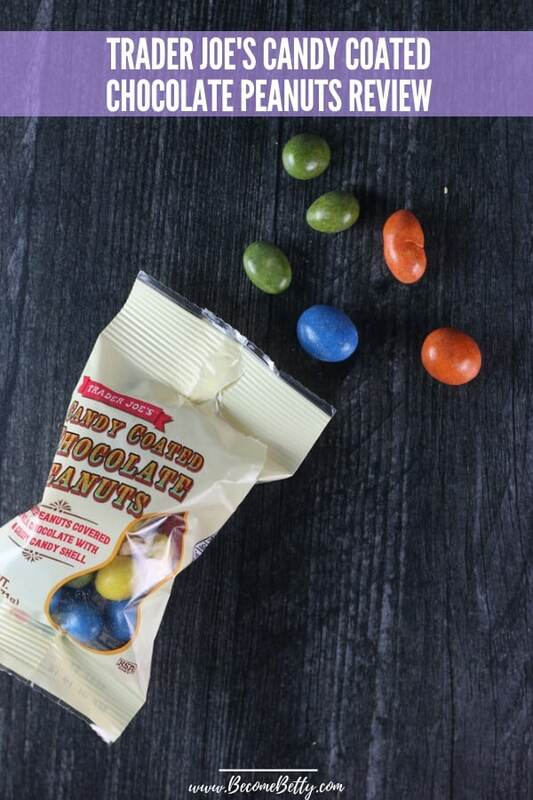 They were delicious, crisp, and melted in your mouth like it never happened. 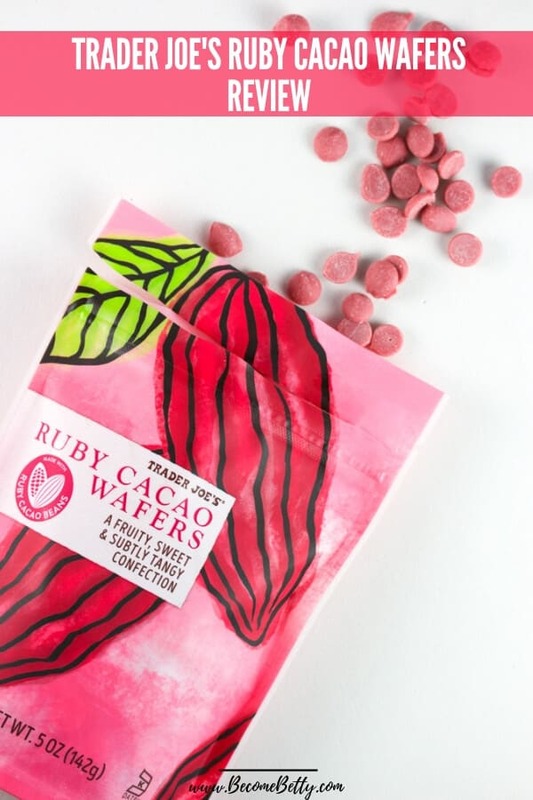 And for the most part, you could have had a relatively large serving of them and still felt pretty guilt free. 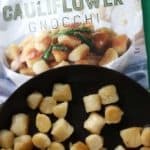 Best of all, they were straight up excellent. 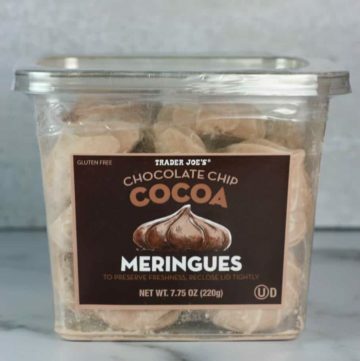 Now, we have Trader Joe’s Chocolate Chip Cocoa Meringues to add to our carts. 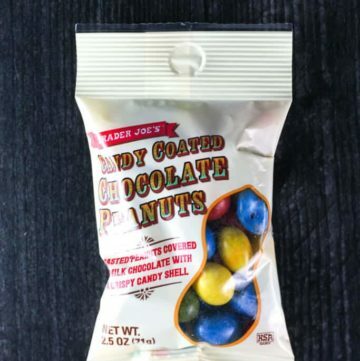 I’m pretty sure every candy sale that I’ve ever done or witness that involved a case of chocolate, ended with the packs of Reese’s Peanut Butter Cups being sold out first. And there is good reason for it: it’s just delicious. 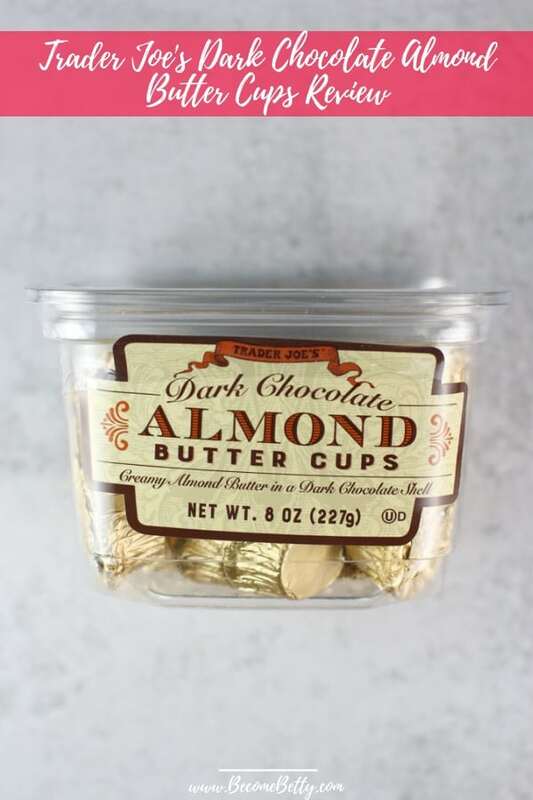 On the shelves of Trader Joe’s we’ve seen the addition of two new “cups” style candies: sunflower seed butter, and this almond butter. Behold! 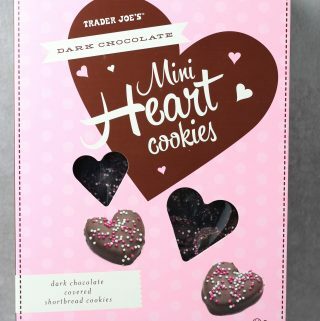 A perfectly timed product gracing shelves in time for Valentine’s Day that is chocolate, but quite different. The color you are seeing here is not the result of coloring of any sort. 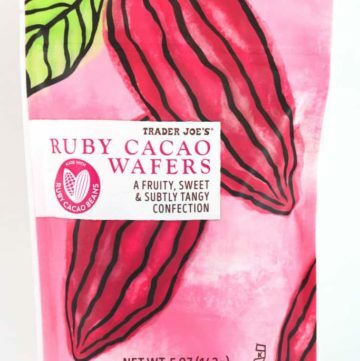 And apparently, this is a new type of chocolate you can be sure that you’ll be seeing more of whether you find it at Trader Joe’s or available commercially. 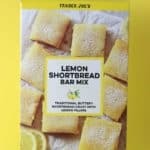 I guess Trader Joe’s was feeling many people’s resolve about New Year’s Resolutions. They knew we would cave. So they came out with a long list of sugary items to expedite this process. 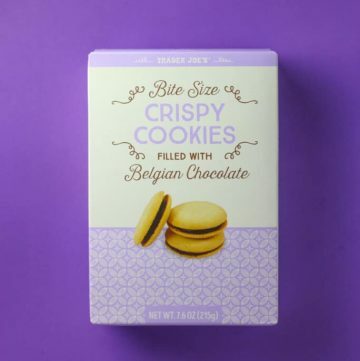 They’ve welcomed vegan cookies, sunflower seed butter cups, and now these. 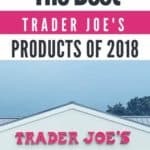 I wasn’t going to write this review given the time of year. 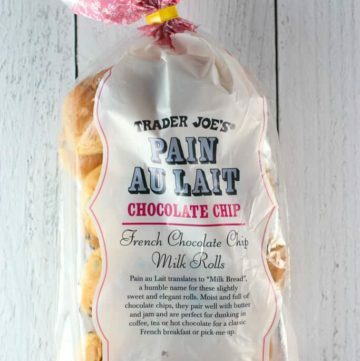 In fact, I’m shocked they picked now to release Trader Joe’s Chocolate Chip Pain Au Lait. 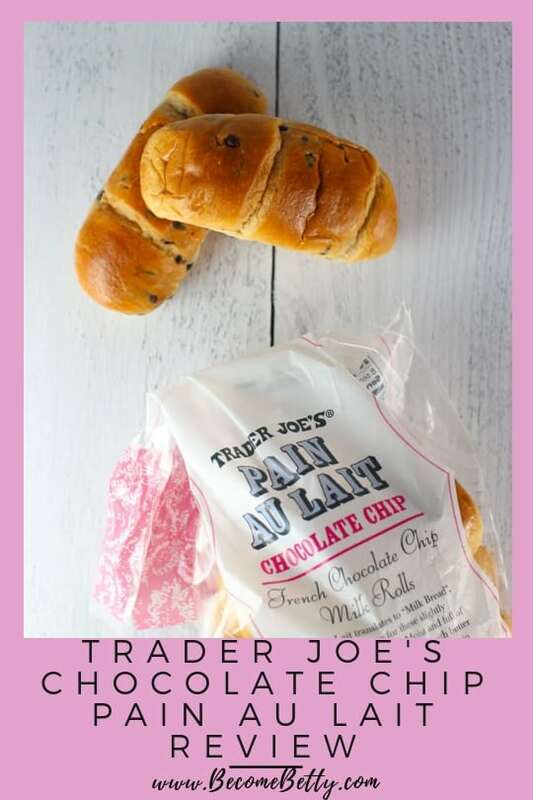 I mean we have one Pain Au Lait. Why would we possibly need a second variety right after New Year’s? 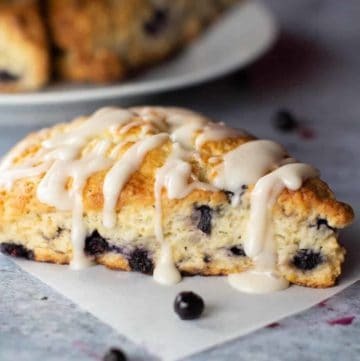 So in case you didn’t have enough sweets and cookies and candies yet, I figured I’d cover this item before New Year’s Day arrives when healthier eating seems in order. Yes, this is another example of a hybrid food much in the way a Cronut is kinda donut and kinda croissant. Let me apologize in advance for all the goodies that are going to be posted on this blog over the next month. 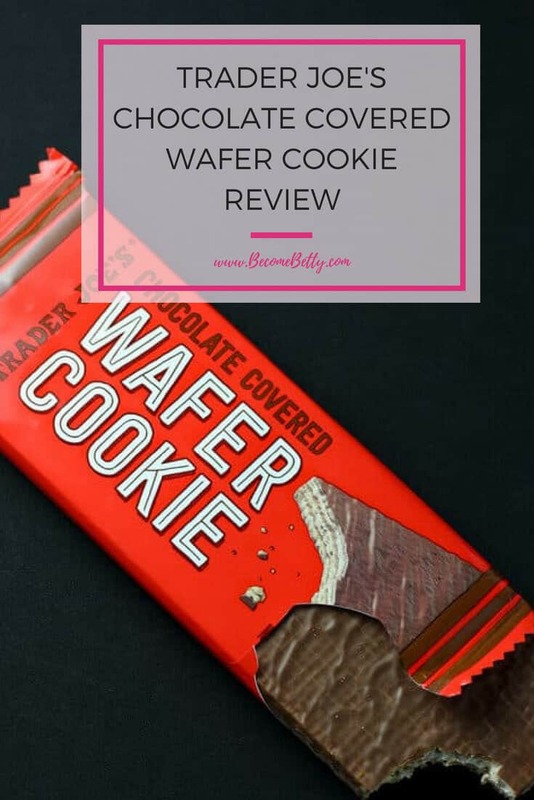 I like reviewing real food, but this time of year all the goodies are out. Including this fancy breakfast/dessert that is so fancy it didn’t feel like it needed the “e” in chocolat. 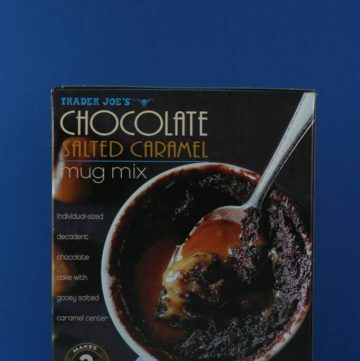 It’s been over a year since I last review Trader Joe’s Chocolate Lava Cakes. 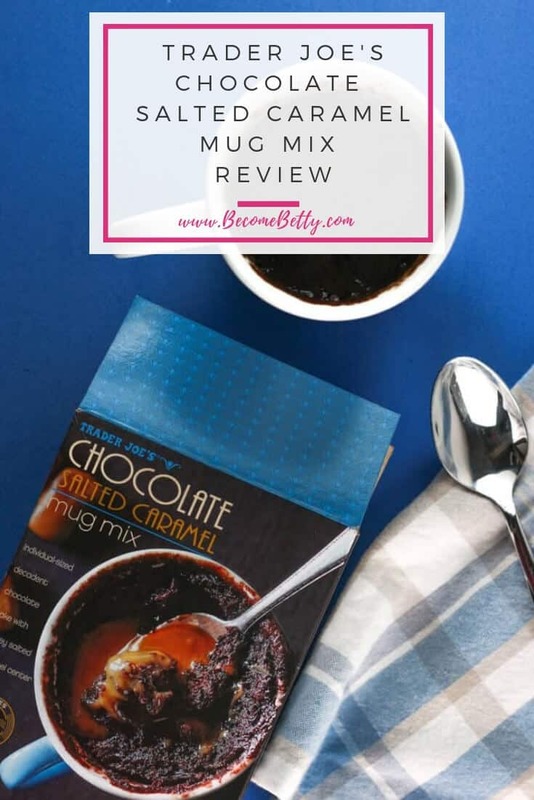 While both Trader Joe’s Chocolate Salted Caramel Mug Mix and Lava Cake desserts go into the microwave and yield a similar outcome in terms of texture, this mug cake won’t take up any space in your freezer. 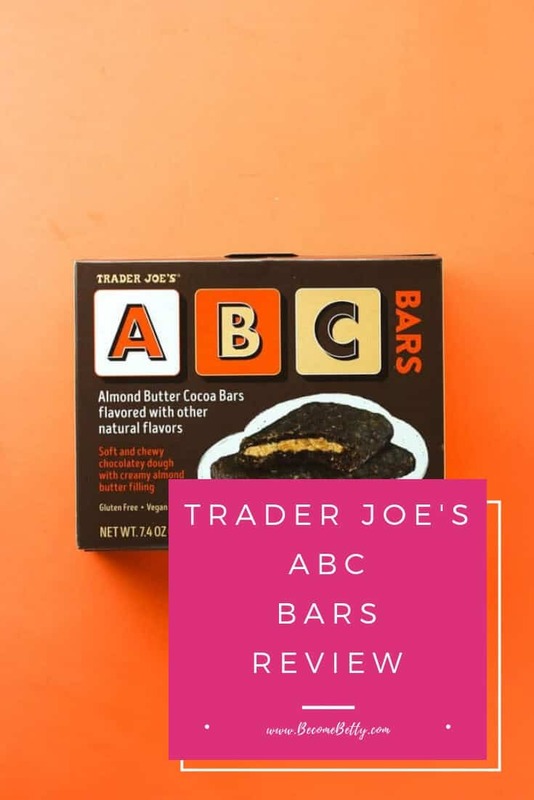 Just in time for school to start are Trader Joe’s ABC Bars. 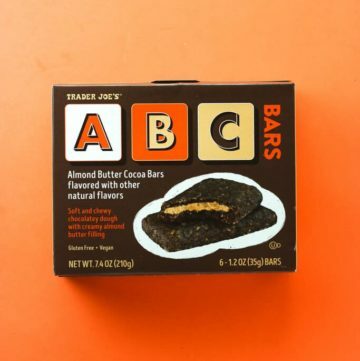 I’m not sure if they chose the letters to coincide with the start of school or it just is one big Jackson 5 reference that they were running with based on the fact that these are Almond Butter Cocoa Bars…. 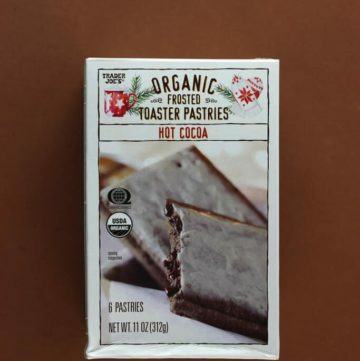 The pros: Trader Joe’s Hot Cocoa Organic Frosted Toaster Pastries is new and dressed up for cooler weather. The cons: Seasonal based on the appearance of the packaging. Depending on your feeling on frosting, mine were not evenly frosted. Some would prefer if the frosting was left off. 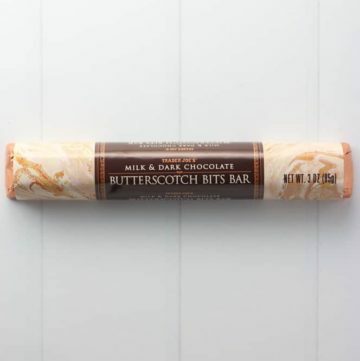 The pros:Trader Joe’s Milk and Dark Chocolate Butterscotch Bits Bar is basic chocolate. It’s inexpensive. The cons: This bar is terribly designed. The ridges are too big for most mouths. I could not break off just a piece without reaching for a knife. The use of the word bits here is an understatement. 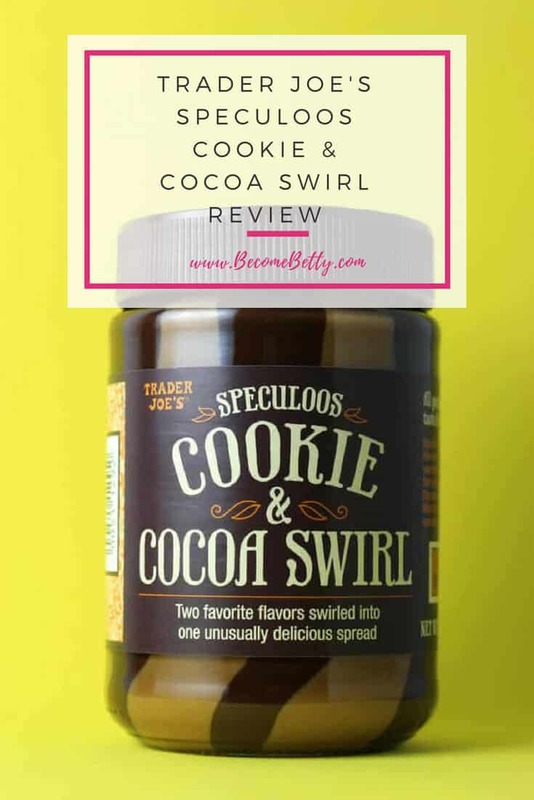 The pros: Trader Joe’s Speculoos Cookie and Cocoa Swirl is a hypnotic mix of cookie butter and spreadable chocolate. 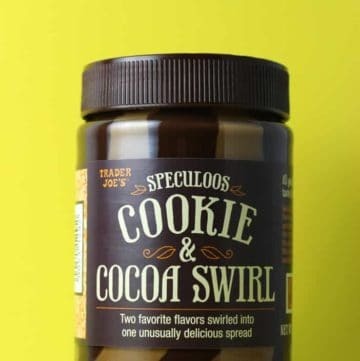 The cons: I’m still not sure how they figure there are 27 servings in this wee little jar. 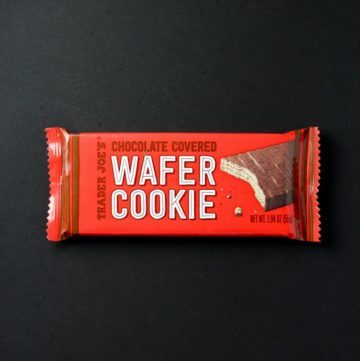 The pros: Trader Joe’s Chocolate Covered Wafer Cookie are new and inexpensive. They are pretty decent. 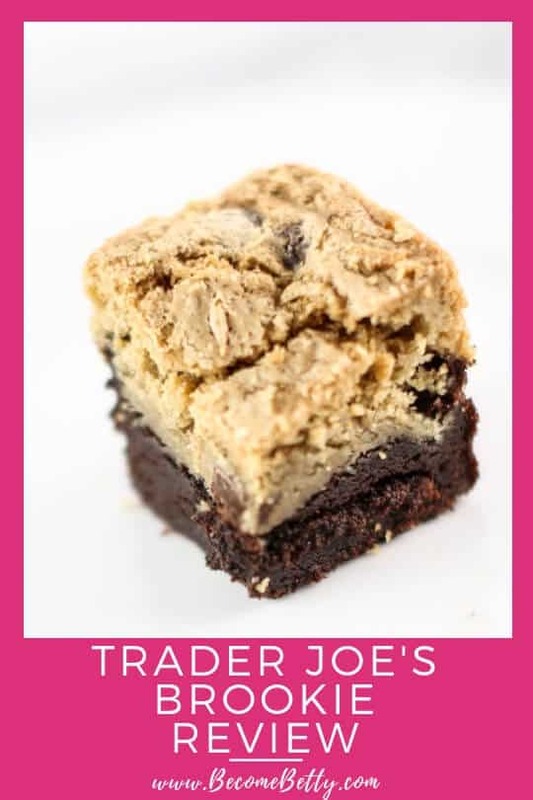 The cons: I hoping for this to be Trader Joe’s copy cat Kit Kat. I did not rise to that level. 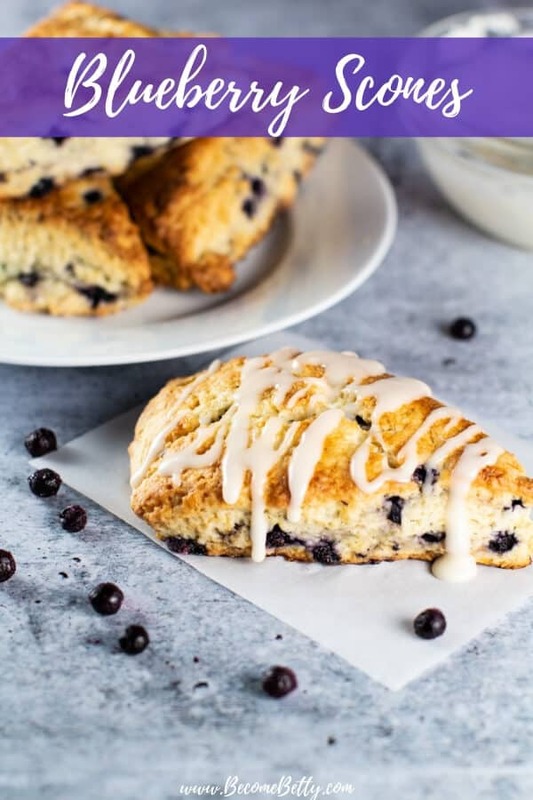 They can’t be split easily for sharing or portion control. 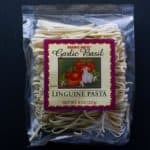 If you have allergies, this too contains a long list of possible allergens. 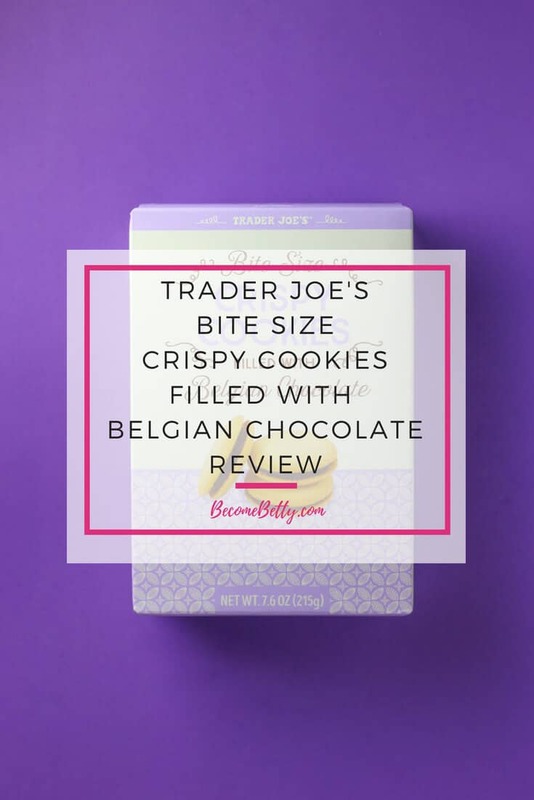 The pros: Trader Joe’s Bite Sized Crispy Cookies filled with Belgian Chocolate might remind you of another cookie, but improved. 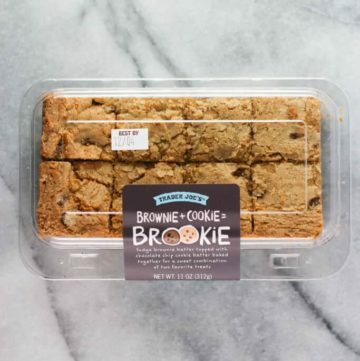 The cons: The allergy list on this on is pretty long for cookies. 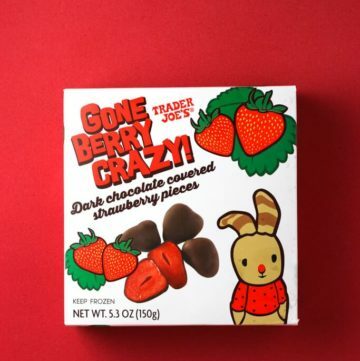 The pros: Trader Joe’s Gone Berry Crazy are the perfect addition to the freezer aisle. 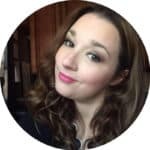 If you loved Gone Bananas! then this will probably be a hit for you. 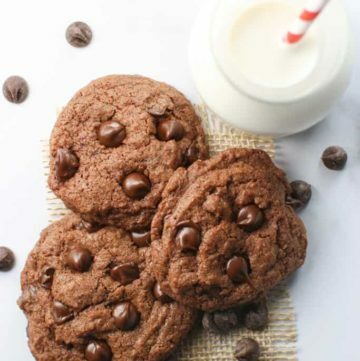 The cons: Milk chocolate fans need not apply here. 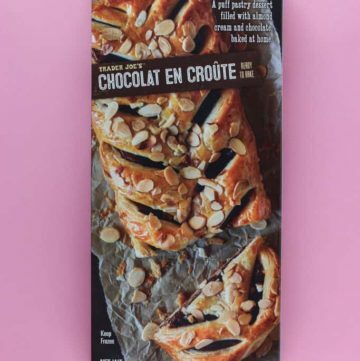 This product does have dairy in it so it is not vegan. The box is small on this as well. I’m deeply hoping this isn’t a seasonal flavor. 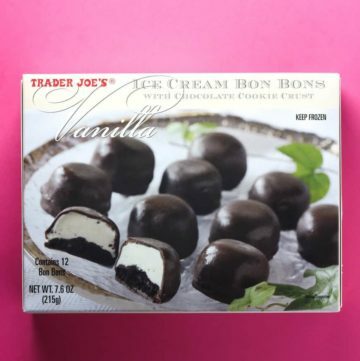 The pros: Trader Joe’s Vanilla Ice Cream Bon Bons are a small and portion controlled dessert that might satisfy a sweet tooth. The cons: Vanilla ice cream could be better. 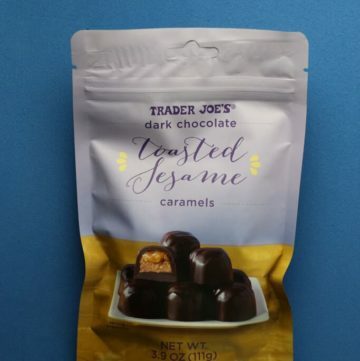 The pros: Trader Joe’s Dark Chocolate Toasted Sesame Caramels are new and are a very different flavor combination than what is one the shelves currently. The cons: I’m not sure this is a knock it out of the park flavor pairing. 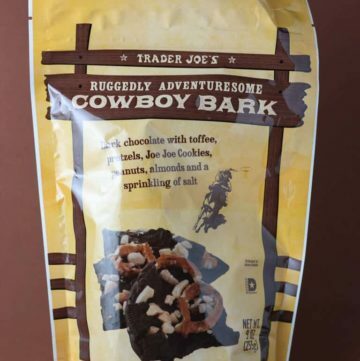 The pros: Trader Joe’s Ruggedly Adventuresome Cowboy Bark is uniquely named and very rich. The cons: This product isn’t really bark and it isn’t appropriate for cowboys. 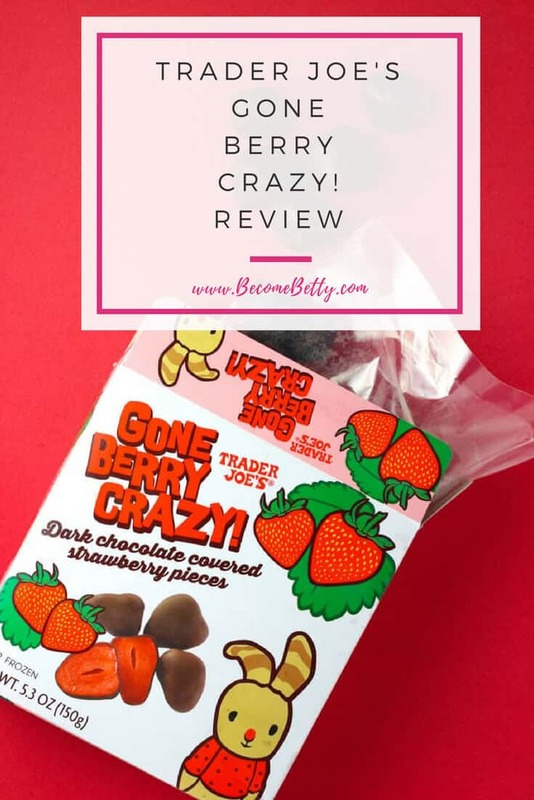 Maybe if this were chocolate covered jerky the name would be more fitting. 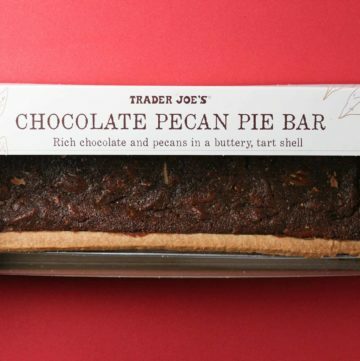 The pros: Trader Joe’s Chocolate Pecan Pie Bar is a solid option in the baked good aisle. It’s a reasonable sized dessert if you are having company. The cons: Like most Pecan Pies, this one does not shy away from the calories. However, one serving is quite a generous size. Would be better if this had some bourbon flavoring to it. 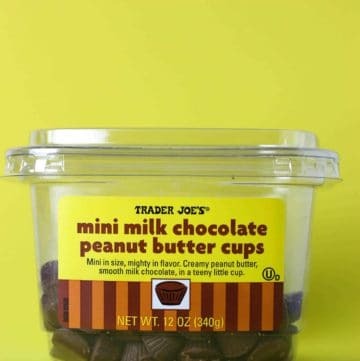 The pros: Trader Joe’s Mini Milk Chocolate Peanut Butter Cups are addicting and a better balance of peanut butter and milk chocolate than the full sized ones they sell. The cons: Addicting. 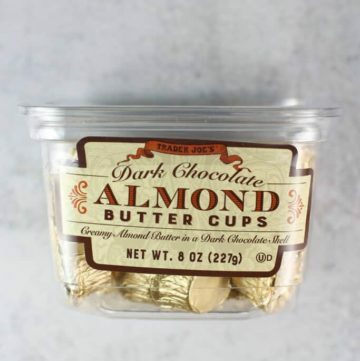 It’s not hard to sit and eat the whole container.